Hive mind, I need some help. We’re in desperate need of a lawn stuff shed. We tried to get one, and the delivery person broke it, and returned it, and life is terrible. So I’m trying again. 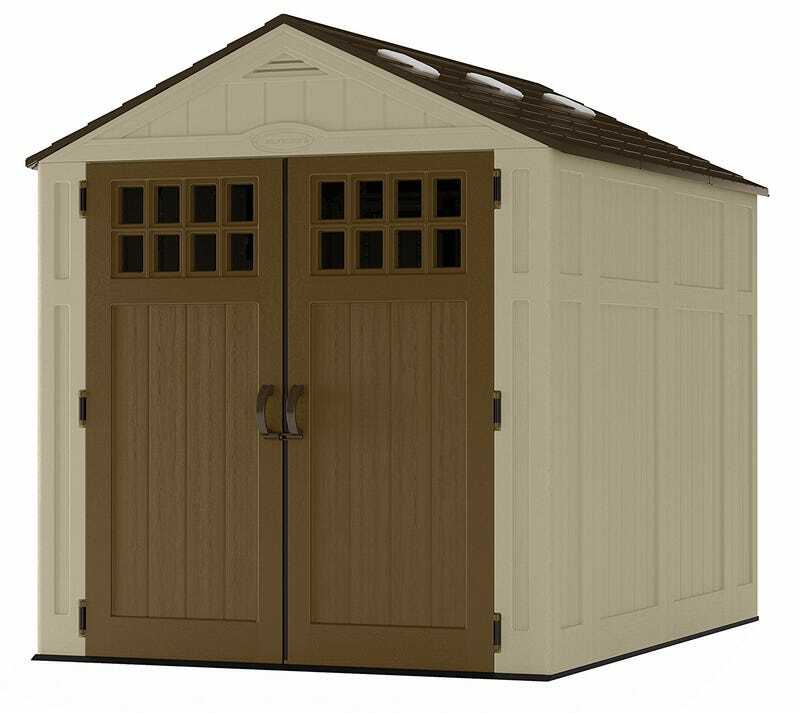 We like the plastic sheds for durability, ease of assembly, and such. I’d consider a metal shed, but it must not have those accursed sliding doors. They must be hinged. I’ve had the sliding metal doors, and they just get gummed up and everything becomes horrible. We have a space for an 8x6 shed. So I’m looking at the Suncast Everett or the Keter Manor, linked there. The suncast appears more sturdy, but there are good reviews on both once assembled, and the Keter is nearly $100 cheaper. Anyone have any experience here? Or other options?